More Niche Award toots have been heard. This piece from San Diego’s Meisha Barbee’s Shimmer series was selected as a finalist. 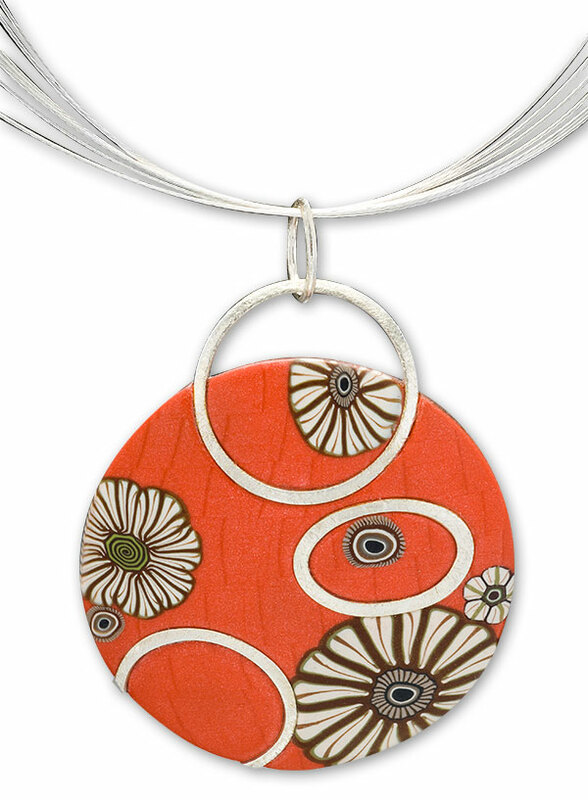 Meisha has started incorporating sterling silver elements into her polymer clay pieces. See previous PCD posts about Meisha here and here. Liz Hall sent in the link to her silver and polymer Bubbles Belt Buckle that qualified as a finalist. A jellyfish swims among bubbles in this mixed media piece. I wonder if there are more shy finalists? That’s a wonderful artist. Lots of great work ! Nice effect.